-Are you apart of the Barbercraft Discord? I have a lot of knowledge about bringing contributions to the server. 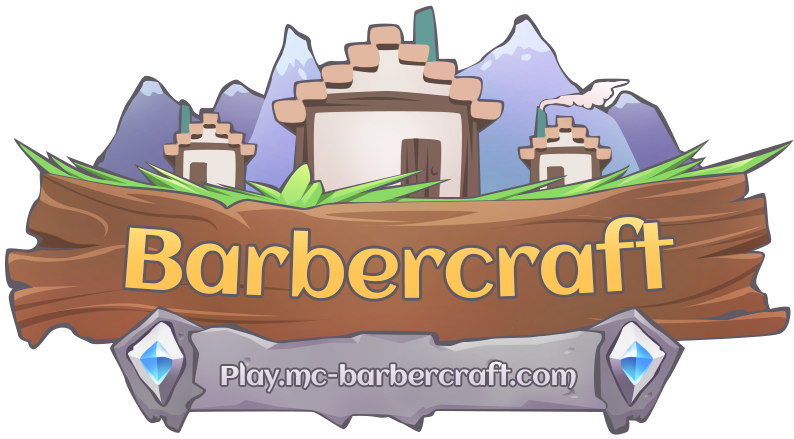 I can help administrate the Barbercraft Enjin website. I administrated the Kunaicraft server website. I also owned my own Enjin website. I have also gotten the opportunity to own my own Minecraft server, but I will make sure Barbercraft stays my priority. Are you willing to vote at least every other day? Have you made a YT video for this server? I have made two YouTube videos for Barbercraft. If yes would you continue making videos? I will try to, but I could try to fit it in occasionally. I have all four of the stars. Have you had previous issues with staff? Be honest! I believe I did have some past problems with Barbercraft staff, but I certainly hope that we can make it up and be friends. I've had problems with former Barbercraft staff and I feel as if they have been resolved. I also was banned for trolling on the server and was permanently banned. I later then appealed and got unbanned. Why you think you are fit for this role? I am productive, active, and I will make sure that all my IRL problems will not be in the way that I will behave to other Barbercraft staff and members. I will also put the needs of the Barbercraft community before any of my own needs. I would be able to advertising to vote every single or every other day on the websites. Yes, I have reported bugs and glitches that I have found on the forums in the past. I will continue to do so if necessary. Yes, I have reported players who caused issues in the past. I will continue doing so if necessary. Are you active on the forums? Yes, I am on the forums and Enjin every day. What is your full AR time? My full AR time is 160 days 3 hours and 50 minutes. I think my building experience is about a 4-5. The strengths with server work are quite limited since I have not been staff on many servers. I was Moderator on KunaiCraft ran by one of our older members, Eevee. I was also a Manager on an old server ran by Ollie. I am also server Manager on a server called CaliburnCraft. I was also a Helper and Moderator on a server called PrestigiousMC for about 6 months. Have you read the Barbercraft Staff Guidelines? Final note you must agree that your staff rank is subject to termination at any time most likely due to inactivity, attitude issues, lying on your staff app, refusal to vote, etc. Very nice staff app! Good luck! As for raw awards like stars and playtime this is the best application so far, good luck!